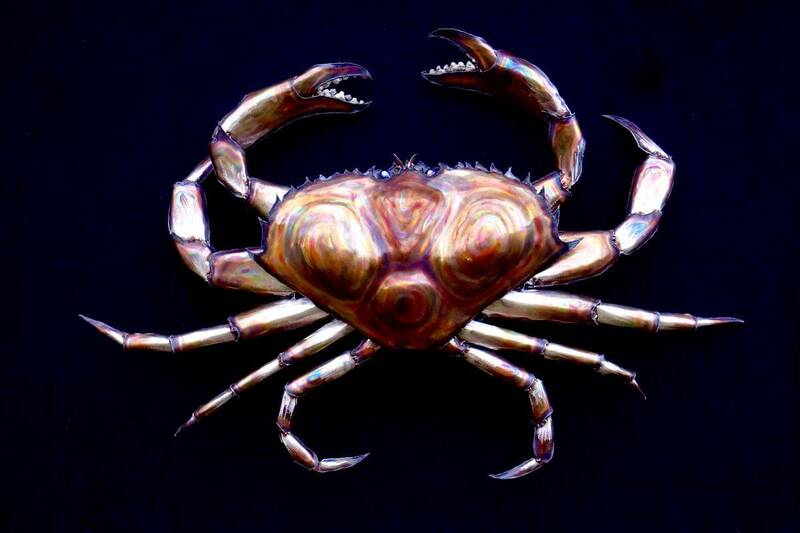 This metal dungeness crab sculpture is wall hanging and is handmade entirely out of stainless steel. A gallery had been wanting one of these for a while so I decided to give it a shot. 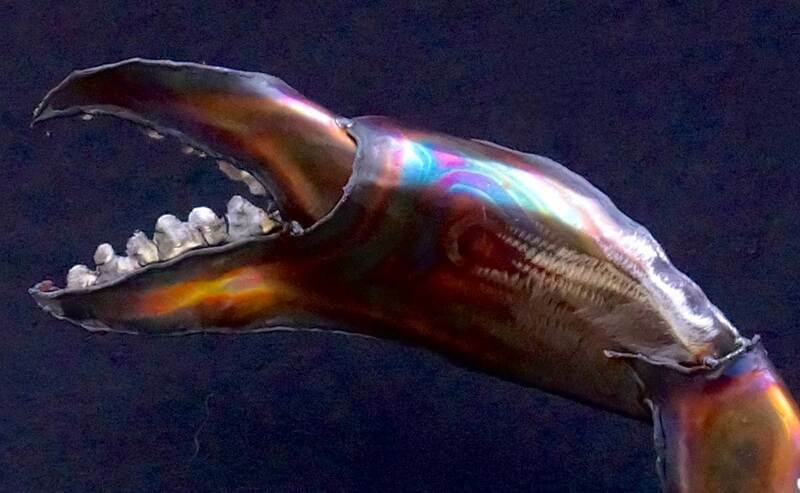 It was challenging because it doesn’t have the brilliant colors of say a blue crab and its claws and facial structure aren’t as flashy which posed and interesting challenge. I added a bit of pattern to the shell and brought in some iridescent colors while brightening up leg segments to help distinguish one part from another and giving it a little extra pop. I think it turned out pretty tasty… so to speak. This sculpture must be kept indoors.